Moving the Tabernacle and its furnishings required strength and stamina. God may have wanted the younger men to carry most of the load of physically moving the articles of worship from place to place. The Levites were not required to stop working altogether. They were required to retire from their "regular service," and to take on the role of assisting the younger men perform their work. The men age 50 and above were needed to mentor the younger men in their trade by providing the wisdom and leadership that came from 25 years of experience in serving the Lord. New leadership was identified and utilized as the younger men moved up through the ranks of service. When Joshua was between 85-100 years old and well advanced in years, the Lord said to him, "You are very old, and there are still very large areas of land to be taken over" Joshua 13:1. God still had work for him to accomplish. Unfortunately, the American culture often glorifies youthful strength at the expense of overlooking those who are older. Older people have much to offer, including wisdom, experience, knowledge, commitment, leadership, and many other things of value. Do you remember the advice Paul once offered to his young protégé Timothy? "Don't let anyone look down on you because you are young, but set an example for the believers in speech, in life, in love, in faith and in purity" 1 Timothy 4:12. Many older people need to consider how Paul may have offered this same advice to Timothy had he been around to have written it during Timothy's retirement years. "Don't let anyone look down on you because you are OLD, but set an example for the believers in speech, in life, in love, in faith and in purity." A Christian may retire from their job or career any time they choose to do so...However, a Christian never retires from Serving God! The Bible NEVER encourages Christians to retire from serving God. Those who are past retirement age should never assume that age disqualifies or excuses them from serving God. Joshua 24:29 tells us that Joshua ultimately died when he was age 110. That same chapter records the most famous words he ever spoke. "But as for me and my household, we will serve the Lord" Joshua 24:15. We must assume that since this was right before his death, he was 110 when he spoke these words and that he was still planning to serve the Lord until he drew his very last breath. Your Best Years of Christian Service may lie just Ahead! Allow God to use your God-given wisdom, knowledge, abilities, leadership, commitment, time and availability to serve him. Serve in your local church. Become a true prayer warrior. Mentor younger men and women. 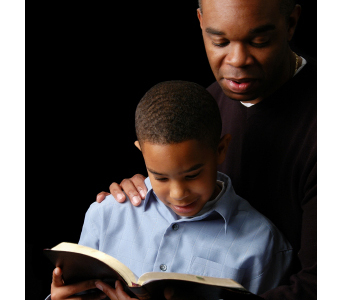 Apply your biblical knowledge by teaching in your local congregation. Volunteer for local, state, regional, domestic, or foreign missions. Never yield to the temptation to retire from serving God. You are needed and wanted in his service. Your best years of Christian Service may lie just ahead! From a biblical perspective, retirement from your job or vocation is optional. You may choose to retire at any age you wish, or you may continue to work for as long as you want or as long as is necessary. Are you interested in retiring or working longer? Are you actively looking for employment? Are you considering becoming involved in Christian ministry by seeking place to serve or volunteer? Are you interested in relaxing and getting away from a job or career? Are you interested in travel opportunities? Are you looking for ways to share your knowledge and experiences with new friends or acquaintances? Are you interested in finding a Christian retirement community, or do you or someone in your family need the services of an assisted living facility? Are you in need of other retirement opportunities or services? Get your finances in order, including investing, becoming debt-free, establishing an emergency spending fund, and saving for the future. Search out and read quality Christian Books like ones offered on this site.